As I’ve become a more experienced grower of my own fruit and vegetables I want to spread my gardening wings to seed saving. 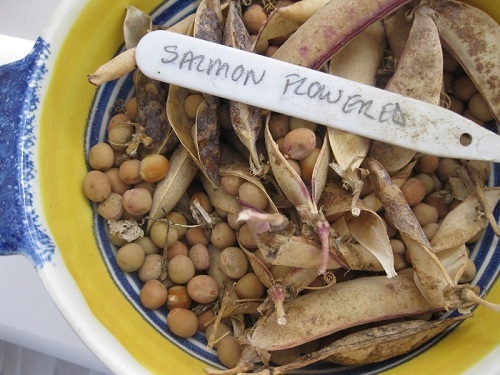 This page is all about seed saving for the home gardener. I’ve found that much of the info out there either presumes you already have a vast knowledge about the basics of seed saving and as a result has huge gaps in information, or is highly technical and uses botanical and scientific terms which to be honest can leave me even more confused. So I’ve put my own together, based on what I’ve learnt and articles I’ve found. I’ve garnered valuable info from the great guys at Seedy Sunday, RealSeeds, HSL, plus books such as Suzanne Ashworth “Seed to Seed” and The Seeds of Kokopelli – “a manual for the production of seeds in the family garden”. Don’t save seed from specimens that are atypical for the variety, unless of course that is what you want to do! Sound advice is that when sowing seeds always assume that you will lose some to pests, disease and other factors, so it is best to sow excess. I often buy and plant local species for saving seeds. It’s good to know you. And it’s great to meet you too! Sharyn, thanks for the feedback and comments. I really appreciate them. Originally I wrote these pages for myself, as I was a complete novice at seed saving. So I’ll update them, and try and make them easier to read and more understandable. Sometimes you (read me) just don’t see the gaps! 2. and you get the seeds out straight away. 3. Put the seeds in a jar, with some water, and leave them for a few days. 4. The aim is to get the gel off the seeds. 5. Wash /rinse the tomato seeds (I use a small tea strainer for this job). 6. and then put the seeds on a saucer to dry. 7. When dry pack them in an envelope, label and store for use next year. Thanks, Claire, for updating this — this is much better. Too late for this year — maybe — I might have a tomato or two that will still ripen (we’ve had a freakish amount of winter sun and one tomato plant is still alive). I’ll get those two or three tomatoes off the plant and follow your instructions and maybe I’ll have tomatoes from them next year. You’re welcome 🙂 I need to revise these pages, which means I need to set aside soe time! And wouldn’t that be great if you managed to save the seeds. I think the link with the pictures helps me most.